Perception is not necessarily reality. Just because you perceive something a certain way doesn't mean it's true. 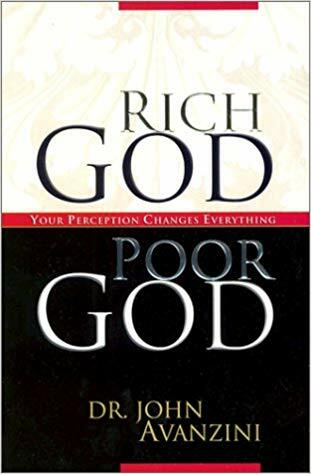 In RICH GOD POOR GOD, Dr. John Avanzini shows you how certain misperceptions of God can put a stranglehold on your financial future. Too often, people are deceived into thinking that what that they perceive is the basis for truth. However, consider this example of how misleading your perception can be. If five blindfolded men tried to describe an elephant, they could not do an adequate job, even if each one carefuly described the part he was touching. One might describe the tail as a broom or the leg as a tree. The trunk might feel like a hose or the ear like a fan. Maybe the elephant's side would seem like a large wall. These perceptions would be incorrect in defining a true composite picture of the elephant. In the same way, if your perceptions of God are wrong your view of Him will be distorted. Scripture abounds with verses that clearly describe God's nature to give. 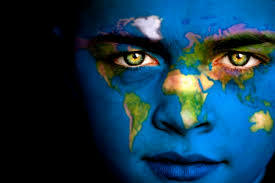 Therefore, as beings created in His image, our nature should also be to give. However, if we mistakenly believe God to be a taker, we will subconsciously begin to conform to this incorrect image of God, causing us to become takers. Dr. Avanzini provides proof from God's Word that will help you have an undistorted perception of the Almighty God of Heaven. By reading this book, you will see that Jehovah Jireh is the Rich God who abundantly gave to Adam, Noah, Abraham, Isaac, Jacob and Joseph. This same Rich God gave staggering amounts of wealth to David and Solomon. He gave immeasurable wealth to his son, Jesus Christ, who stands ready to give to you in such a way that you will want for nothing! Armed with this information, you will be in a position to fulfill your scriptural duty as a steward of God. The sthocking truth is that a real steward of God never has anything to lose!